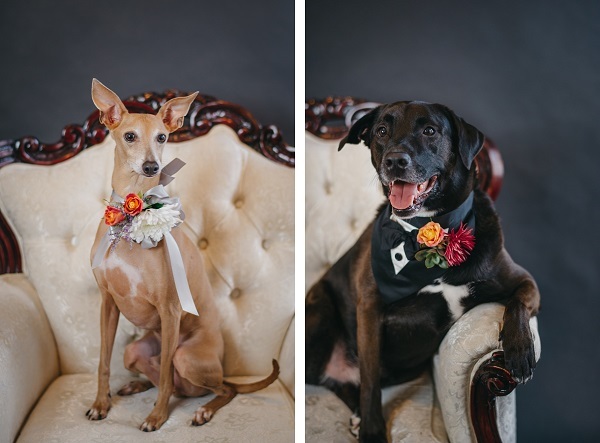 I love a dog in a wedding, but I know that sometimes it might be too stressful for some dogs to be at the wedding all day. I was delighted when I discovered Fairy Tail Planning. Based in Tampa Bay, Florida, Kelly and Ilana offer a unique service that I hope will catch on everywhere. 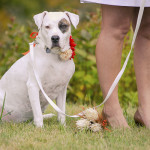 Fairy Tail Planning is an amazing service that allows dogs to be part of the wedding in the way that is best for each dog. 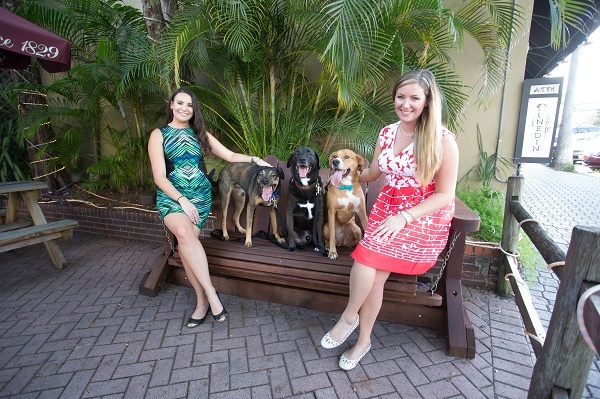 From Kelly and Ilana: “As professionals in the hospitality industry, we watched animal-loving couples struggle to find ways to include their four legged family members as they said their vows, ultimately having to leave them behind. This is where our distinct business concept stemmed from. There were no options for those that wanted to include the animals they call family in their special days. We noticed that often times a friend or family member is designated to watch the dog and ends up missing out on the excitement of the day! A lot of couples assume they’ll just figure it out, but having someone care for your dog is a big responsibility and can be stressful for those designated to do so. We put together a package that takes care of all the logistics involved. 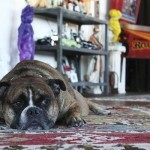 We provide transportation to and from the venue & wherever the pup is staying. We take care of the pup for the day, feeding them, giving them plenty of water & exercise. Typically we take the pups on a long walk to get out lots of energy. We also pamper them by taking them to one of our local, trusted groomers for a luxury bath. We love Woof Gang Bakery! 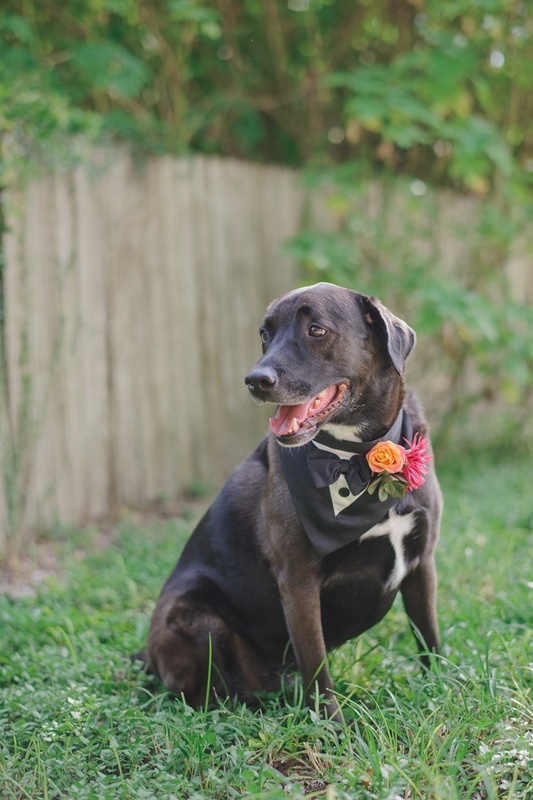 Then we make sure they are dressed to impress in our tuxedo bandanna or maid of honor bandanna. We also work with a local florist, Florist Fire, to customize a corsage or boutonniere for the pup! For the ceremonies, we watch them until it’s time for them to walk down the aisle, waiting for them on the other side. We then watch them for the duration of the ceremony and through photos, as well. Helping them pose and keeping them occupied when they’re not in the shot! We also offer Honeymoon Pet Sitting so the couple can rest assured knowing their pup will be taken care of while they’re gone! 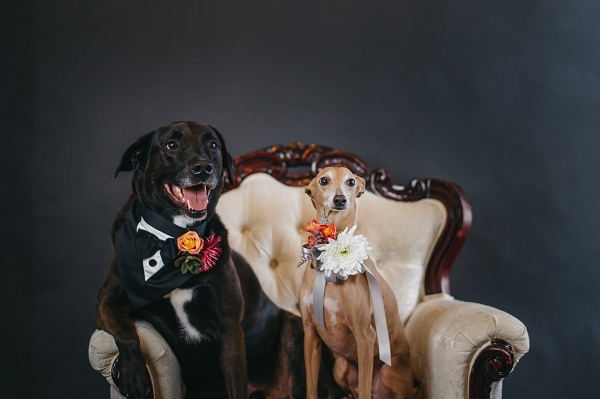 We are currently working on becoming certified trainers so that we can offer that for the pup parents that are concerned with their dog’s behavior at the wedding. We want everyone to be completely comfortable, including the dogs! We do have consultations prior to any of our services! It’s important to make sure we’re the perfect fit for our clients & their pups. Some tips for couples that want to have their pup are to hire someone to be there for your dog. It seems like something you just want to figure out on the day of, it’s no fun being the bridesmaid on doggie watching duty. 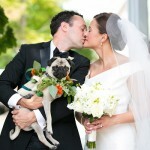 You want your guest’s to be present on your special day, not stressed about caring for your pup! Instead, leave the pet sitting to us! We love it! Also, it’s important to know your dog; their personality, behavior, and comfort zone. 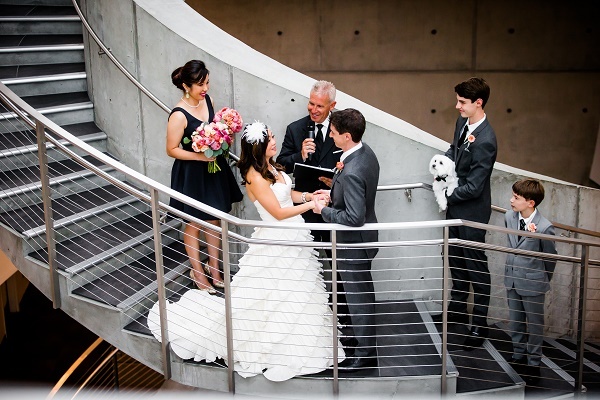 While some couples may want their dog to be a ring bearer, if the dog isn’t comfortable around crowds or maybe is difficult to control on a leash, it’s probably best to leave them out of it. This is why we offer services just for photos. That way the couple still gets to see their furry family member on their special day & capture some beautiful memories, but they don’t have to place their pup out of its comfort zone at the same time. 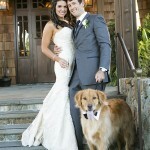 Follow Fairy Tail Planning on Instagram for some great photos of weddings with dogs as well as behind the scenes shots. I love that they are catering themselves to dog lovers… so great! 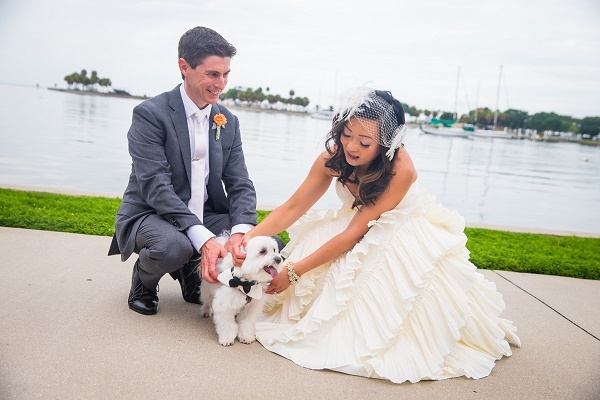 llana and Kelly from fairy tail planning made our wedding day extra special because we were able to have Toby the “best dog” with us during the ceremony. So glad our wedding planner Kimberly Hensley found this service for us. Toby is such a cutie! I am sure that Ilana and Kelly made your day so much better by being there to watch over him.